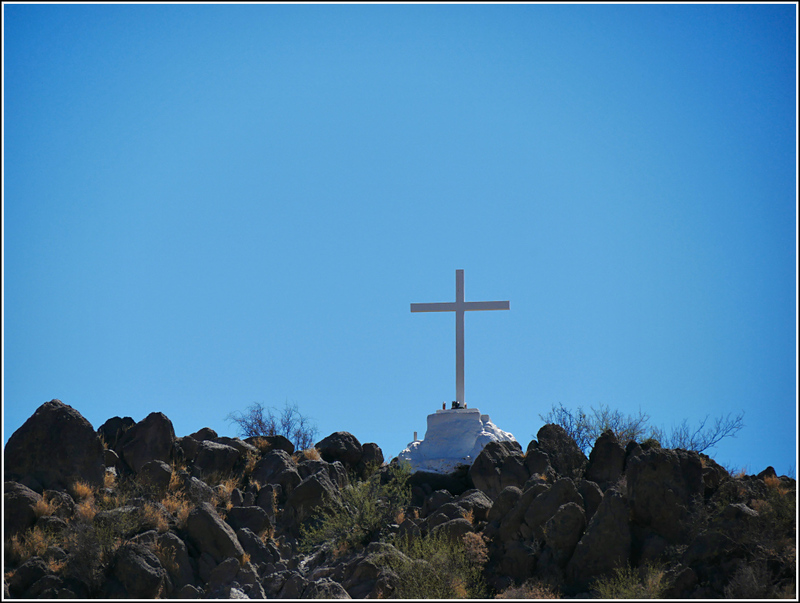 When visiting the mission, you really can't miss this lovely white cross on nearby Grotto Hill. I saw it when I was first here ten years ago, but for some reason I didn't know at the time that it was a landmark station, and we hadn't taken any photos of it. Today we walked the short loop trail around the knoll to see the grotto and the lovely views of the Tucson Mountains, the Catalina Mountains, and the Rincon Mountains. 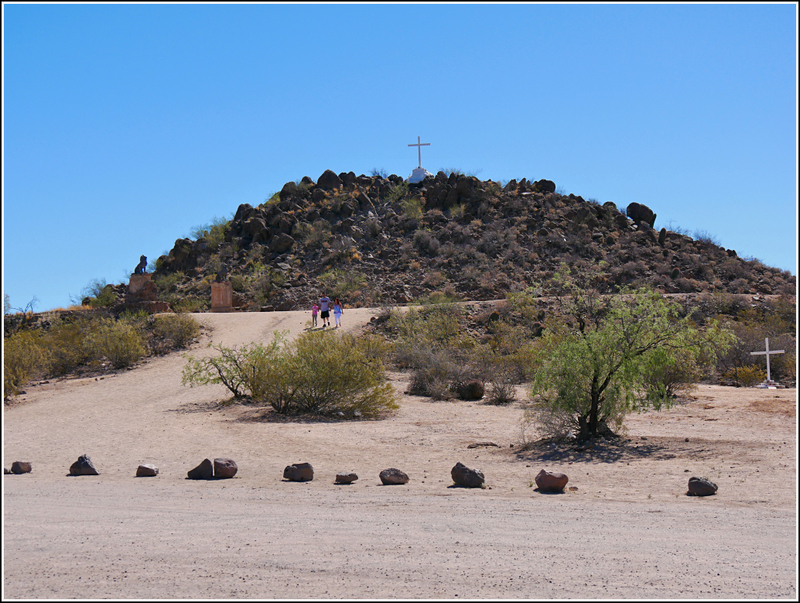 We didn't climb to the cross, although it would be easy to do so, especially from the back side of the knoll.